We value our employees. They are the men and women who enable us to provide quality care and services to our elders. We hold the dignity of our employees in the highest regard and fully recognize their merits and the value of their contributions. It is our mission to ensure that they succeed by providing the resources they need to uphold their commitment to excellence. Our staff at Marycrest Manor comprises licensed professionals, para-professionals, dietary, activity, housekeeping, laundry, maintenance, and office personnel. Purpose of Position: Implement activity program as developed by the Activity Coordinator for residents at all levels of care and functioning. Responsible for maintaining consistent dynamic in programs that support interpersonal involvement and engagement of residents for augmented quality of life in body, mind and spirit. Speaks and understands the English language fluently. Computer literacy in Windows and Web based programs including, but not limited to, all Microsoft Office programs. Working knowledge in the use of the E-charting system. The primary purpose of your job position is to provide each of your residents with daily nursing care and restorative services in accordance with the physician’s order, resident’s assessment and care plan, and as may be directed by your Resident Care Coordinator and Resident Care Supervisors. GED certification or high school diploma. Current state certification in Cardio-Pulmonary Resuscitation. programs including, but not limited to, all Microsoft Office programs. Working knowledge in the use of the Electronic Charting system. 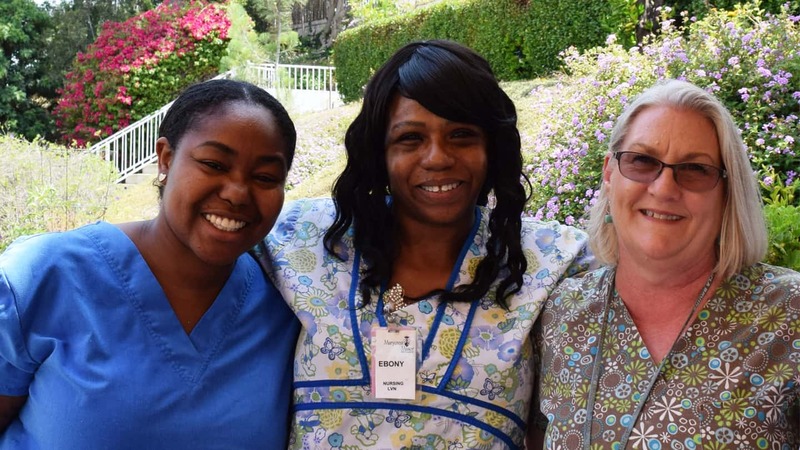 The primary purpose of your job is to provide direct nursing care to the residents, and to supervise the day-to-day nursing activities performed by resident care assistants. Such supervision must be in accordance with current federal, state, and local standards, guidelines, and regulations that govern our facility, and as may be required by the Director of Nursing Services or Resident Care Supervisor to ensure that the highest degree of quality care is maintained at all times. Must possess current certification in Basic Cardiac Life Support. Must have current IV certification. Able to read, write and speak English fluently in a manner that can be clearly understood by others. Must have Computer literacy in Windows and Web based programs including, but not limited to, all Microsoft Office programs. Working knowledge in the use of the Electronic Charting system. Under the direct or indirect supervision of a Registered Nurse responsible for providing professional skilled nursing services according to established Policies and Procedures. Responsible for ensuring continuity of care by providing direct care and supervising CNAs, as well as coordinating care with other support personnel. Under the general supervision of the dietary supervisor, the cook prepares meals according to the posted menus and directives by the supervisor, and performs general functions for the upkeep and maintenance of the kitchen. This position is responsible for the general daily functioning of the dish washing room and any other duties as assigned. Direct the Admissions and Marketing processes in a manner that results in high yields of qualified admissions. Promote the services and programs available through Santa Teresita to the local community and outside agencies. Source and manage contracts with Acute Facilities, Physicians Groups, and Managed Care Organizations for quality care and profitability. Provides maintenance services required for the safe and efficient operation of the plant. Executes planned repairs, minor installations and replacement. Maintains equipment in a satisfactory condition for safe operation and follows through on planned maintenance program under the direction of the Facilities and Maintenance Manager. Basic principles and techniques of plumbing, wood finishing, painting, electricity and carpentry. Knowledge of operational characteristics of mechanical equipment, plumbing, electrical circuitry and tools used in the area of work assigned. Knowledge of tools, equipment and supplies used in providing comprehensive building maintenance services. Knowledge of occupational hazards and safety precautions/practices necessary for the area of work assigned. Knowledge of basic fire safety and building codes. Operate pallet jack and forklift. Establish and maintain effective relationships with those contacted within the course of work. Driver license and Live Scan clearance. Must wear Personal Protective Equipment (PPE) as required by the individual job duty. Universal Worker The general purpose of your job is to provide assistance to residents in their activities of daily living (ADLs), to perform various services in relation to the general upkeep and cleanliness of the buildings and equipment of Santa Teresita, and to participate in the tasks required for the general running of an Assisted Living household. The primary purpose of your position is to perform various services in relation to the general upkeep and cleanliness of the buildings and equipment of Santa Teresita. The primary purpose of your position is to perform various services in relation to the general upkeep and cleanliness of the buildings and equipment of Casa Convent. Dietary Aid The general purpose of this job is to prepare food items for resident meals and other activities that are not the direct responsibility of the cook. Director of Staff Development The primary purpose of your job position is to supervise the day-to-day nursing activities of the facility during your tour of duty. Such supervision must be in accordance with current federal, state, and local standards, guidelines, and regulations that govern our facility and as may be required by the Director of Nursing Services to ensure that the highest degree of quality care is maintained at all times. Must be certified as Director of Staff Development and have minimum one year experience as a trainer and program coordinator. Must have current IV certification and proficiency in IV therapy. Must have, at a minimum, 2 years clinical working experience in a hospital, nursing care facility, or other healthcare facility as a licensed nurse. A minimum, 6 months training experience in rehabilitation and restorative nursing practices, preferred. Must have a working knowledge of epidemiology, microbiology, infectious diseases, and aseptic technique to include standard/universal precautions. Must have working knowledge of State and Federal regulations that govern long-term care. This position’s main responsibility is to manage the Payroll and Benefits Administration for the entire organization of approximately 150 – 175 employees. Responsible for the human resources programs, as they are related to: Payroll, all employee benefits including worker’s compensation and other retention and wellness programs. Serves as a resource to all levels of leadership within the organization in regard to personnel practices. Registered Nurse Responsible for the delivery of resident care through the nursing process of assessment, plans, implementation and evaluation. Directs nursing care in accordance with the policies and procedures of our organization. Ensures continuity of care by providing direct care and in supervising LVNs and CNAs. Maintain strict confidentiality and follows HIPPA regulations. Resident Care Supervisor The primary purpose of your job position is to supervise the day-to-day nursing activities of the facility during your tour of duty. Such supervision must be in accordance with current federal, state, and local standards, guidelines, and regulations that govern our facility and as may be required by the Director of Nursing Services to ensure that the highest degree of quality care is maintained at all times. Must possess a current, unencumbered, active license to practice as an RN or in California. Must possess current state certification in Basic Cardiac Life Support. Must have current IV certification and experience in IV therapy. working experience as a supervisor in a long-term care setting.